How Long Does A Mosquito Live After Biting You? Will It Die? Mosquitoes may only be tiny insects but their bite can cause many problems. 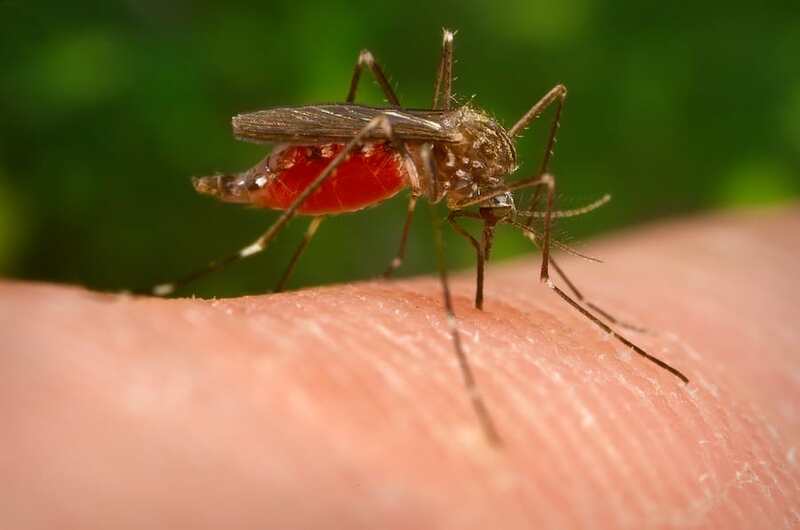 They not only cause irritation from the bites but they can also spread diseases and viruses, such as the Zika virus, dengue fever, yellow fever, and malaria. Many people believe that, after a mosquito has bitten you, it will then die. Just like if a honey bee stings you, this then results in its death. Let’s take a closer look in order to separate fact from fiction. Will a Mosquito Die After It Bites You? How Many Times Will a Mosquito Feed in Its Lifetime? How Long Do Mosquitoes Usually Live For? One thing that people mistakenly think about mosquitoes is that they only feed on blood. It is actually only the females who need blood meals and this is only to aid them in producing eggs. Without taking a blood meal, a female would be unable to reproduce. In general, both males and females feed on water and the nectar of plants. This is where they get their energy to survive. Plant or fruit nectar and water are perfect sources for them to find the sugar and moisture they need. Another fact which may surprise you is that mosquitoes don’t have teeth. They don’t actually bite at all. In reality, what the female does is pierce the skin with her proboscis. This is a long mouthpart (proboscis) that is pointed and serrated. Using the proboscis, the female will pierce the skin and find a capillary. It then uses one of two tubes to drain the blood. The other tube is used to inject an anticoagulant and saliva. A female mosquito is capable of drinking three times her weight in blood. The female will take a blood meal so that she can get the iron and protein she requires to produce eggs. Once she has had her fill with blood she then can rest. After taking a blood meal, a mosquito will, in fact, not die. She will continue to live her life unless killed by other means. When a female takes a blood meal and is left undisturbed, she will continue to draw blood until she feels that her abdomen is full. If she is disturbed, she will find her next victim and continue her task of feeding. Once she has fed, she then rests for a couple of days before laying her eggs. Since she continues on until she is satisfied, this is why we often see multiple bites on the same area of the body. Some people worry that being bitten by mosquitoes can lower their blood levels. This is due to the number of bites they suffer. You may feel that you are covered in a million little bumps. Your main concern may be the irritation caused or maybe you’re afraid of the diseases these pests transmit. Mosquitoes don’t only bite humans. They are attracted to any warm-blooded animal that they can manage to feast upon. Once her eggs are laid, the female mosquito will be ready again for another blood meal. This will allow her to continue the life cycle of producing more eggs. This will be repeated for the duration of her life. During this time, each female will lay an average of five batches of eggs, which means they will consume approximately five blood meals before dying. All mosquitoes go through the same life cycle, regardless of their species. There are four stages to the cycle, which begins as an egg. The female may lay her eggs one by one or attached together to form what is referred to as a ‘raft’. How they are laid depends on the species. Some species will lay their eggs on water and some on damp soil which will become flooded. Once the eggs are laid, they will usually hatch within 48 hours. It is possible for some to lay dormant throughout a cold harsh winter and hatch with the first rains of spring. Once hatched, they then become larvae. The larvae will live in the water and rise to the surface to get the air needed to breathe. They use a siphon tube to breathe through and hang upside down beneath the surface of the water. Larvae will ‘molt’ (shed the exoskeleton) around four times. Each time will see them getting larger in size. While in the water they will feed on organic debris and microorganisms. It will usually take around one week to complete the larvae stage. During this stage, the pupae rest and do not feed. They continue to be mobile and can flip their tails around in order to reach the bottom of the water source. Pupae will do this as a precautionary measure if they sense any changes in light or movement. In the summer months, this stage will take just two days to complete. The skin of the pupal will then split open and the adult will emerge. As the new adult emerges, it will rest on the surface of the water. This allows time for the body parts to dry out and harden. It is important that the wings are able to spread out and dry before it can fly off. They will not mate or feed on blood for a couple of days after emerging. The length of the lifecycle will depend on both species and temperature. Some may live for just four days, while others could survive for a month or more. The male’s life is relatively short as he will only live between three and five days after mating. Females live much longer and in the right conditions could live up to one or two months. Mosquitoes have a short life, with the males living for an even briefer period. It may have come as a surprise to learn that only the females bite. Plus, that what we call a bite is not really a bite but more like a needle piercing the skin. After piercing or biting us, the mosquitoes don’t die. In truth, after biting, they are resting up—ready to release the next batch of irritating mosquitoes into society.